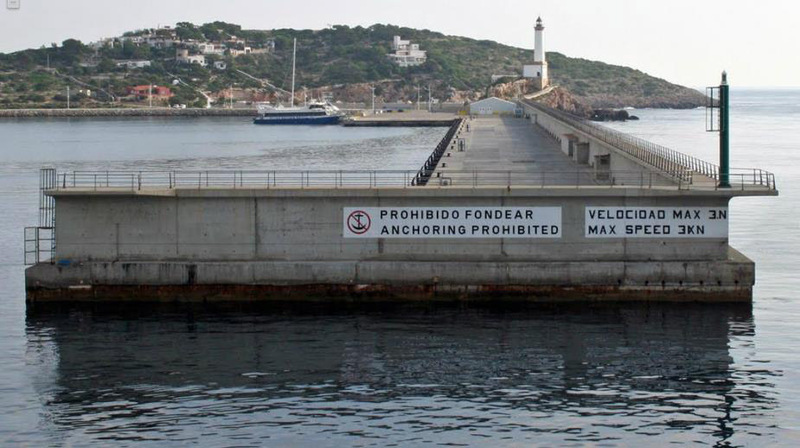 The Port Authority of the Balearic Islands (APB) has opened a bidding process for the refurbishment and improvement of the outer perimeter of the wharf of the Botafoc dock in the port of Ibiza. The budget for this tendering stands at €1,140,606.49, including VAT, and the deadline for submitting a bid is 18 February 2019. The company which is awarded the contract will have a maximum of 10 months to execute it. 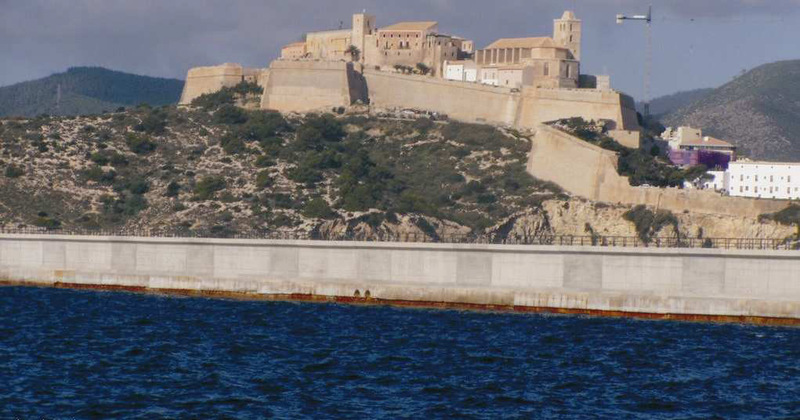 The dock of the Botafoc in the port of Ibiza, which was built in 2003 as a dock which would shelter this port, started to show signs of deterioration in 2015, especially in the most exposed areas of its outer surface. 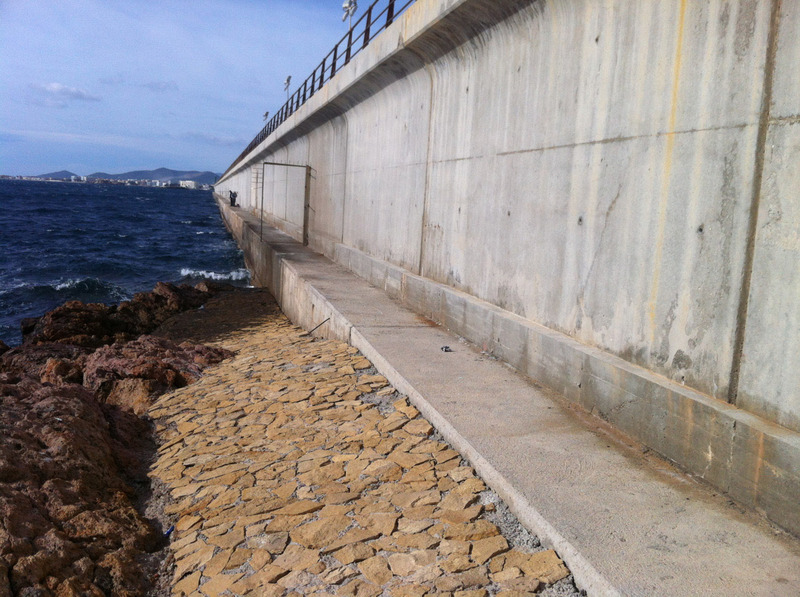 In light of this problem, and the progressive deterioration of the concrete, the APB has requested the corresponding reports from a specialised company to assess the situation and propose the most suitable technical solutions. These solutions arise from the study of the causes for the deterioration of the facing and the establishment of the recommendations for its repair, which were given by the Centre for Public Works Studies and Experimentation (CEDEX in Spanish) taking into account the durability, with the most suitable material being suggested for repair, which features analysis of the different mortars. Some of the zones will be repaired, as is the case with the different facings and beam heads located on the sea side (exterior of the dock), while others will be given a preventative treatment, as they are located on the lee side and don’t require repair despite being in the outer area of the dock. As a result, the repair work will be significant: removal of the railing, chipping and thorough reworking of the facings, connecting reinforcement with a mesh of drill holes to ensure the union of all parts of the dock, additional shared reinforcement, shuttering and concreting of the vertical and horizontal facings, among others. 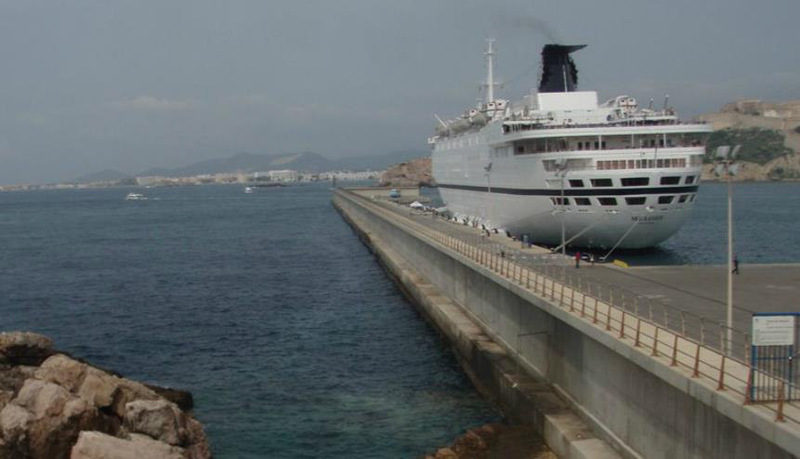 With regard to the preventative measures, in the appropriate areas, there will be the application of an anti-corrosion treatment on the surface, by means of a layer of mortar or micro-concrete made from cement which is resistant to the marine environment. All the information is available at the Tender Portal of the APB.